The more evenly processing equipment is fed, the better it performs. 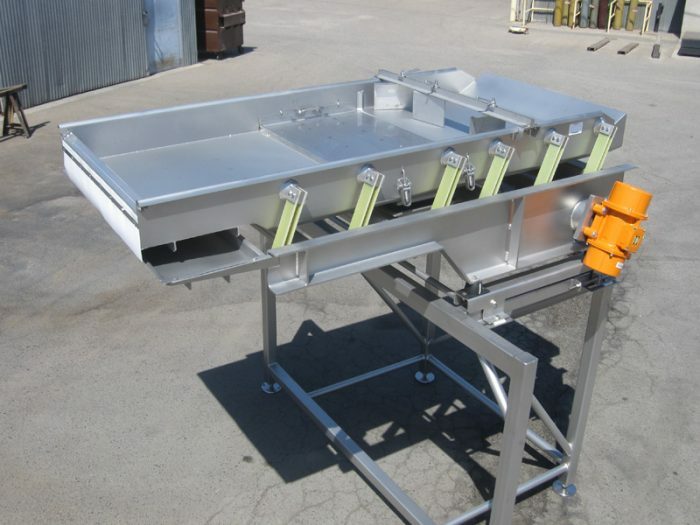 Vibratory conveyors have a natural "metering" effect on product flow and therefore are a highly attractive means to feed high dollar investments like optical sorters, freeze tunnels, blanchers, and dehydrators, etc. Besides delivering a consistent flow to the downstream equipment, it is sometimes necessary to orient the product as well, and Commercial has designs to do just that.